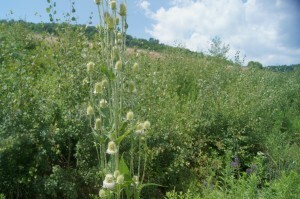 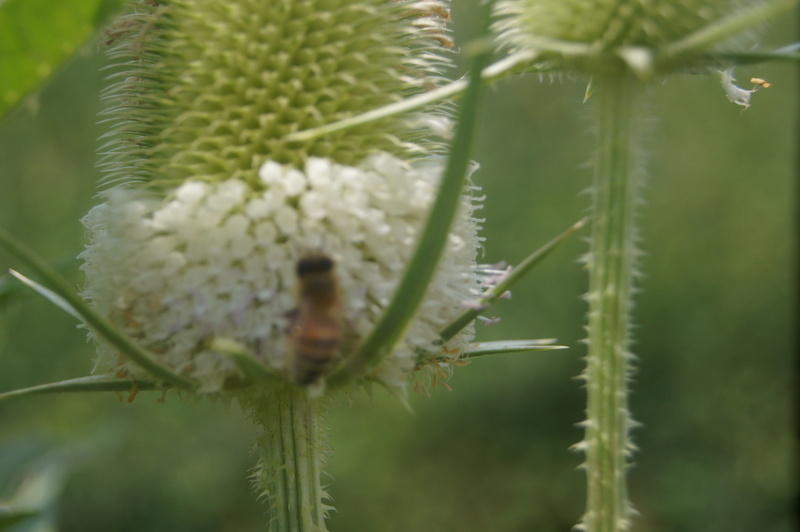 I spotted a patch of common teasel – Dipsacus fullonum ssp. 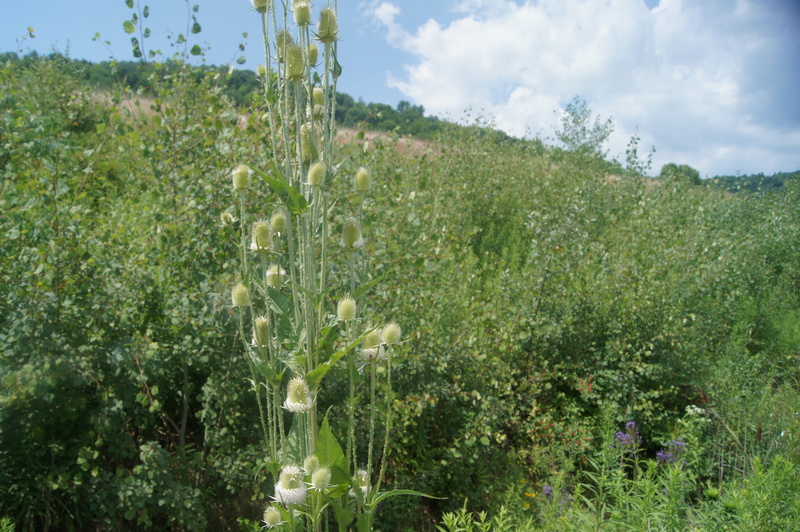 sylvestris (Huds.) Clapham next to the road in Lawrenceville, PA and decided to take some pictures. 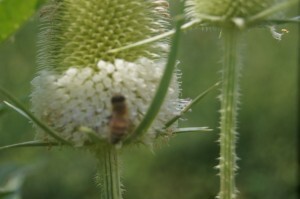 This is the wild form of the teasel which was used for carding wool until being replaced by metal carding devices in the 20th century. 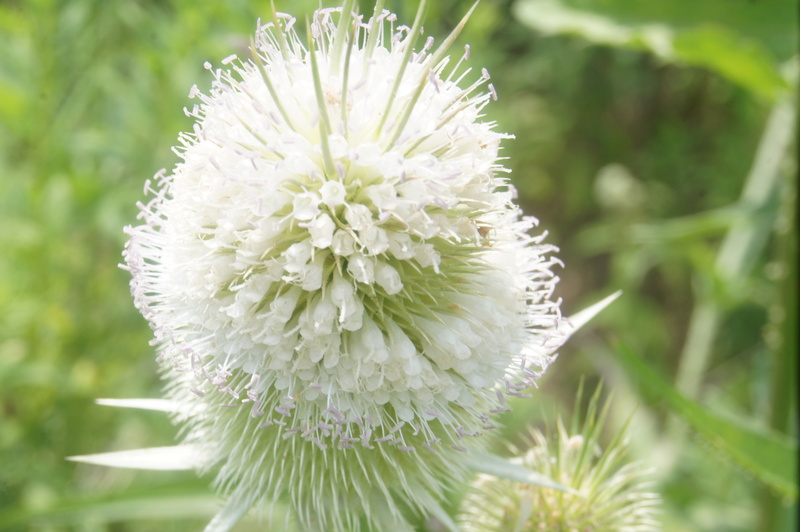 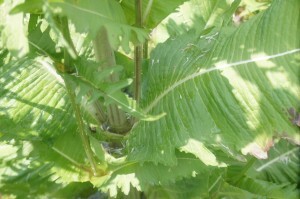 This and the domestic form Dipsacus sativus can be seen along the roads in disturbed areas throughout the North America.